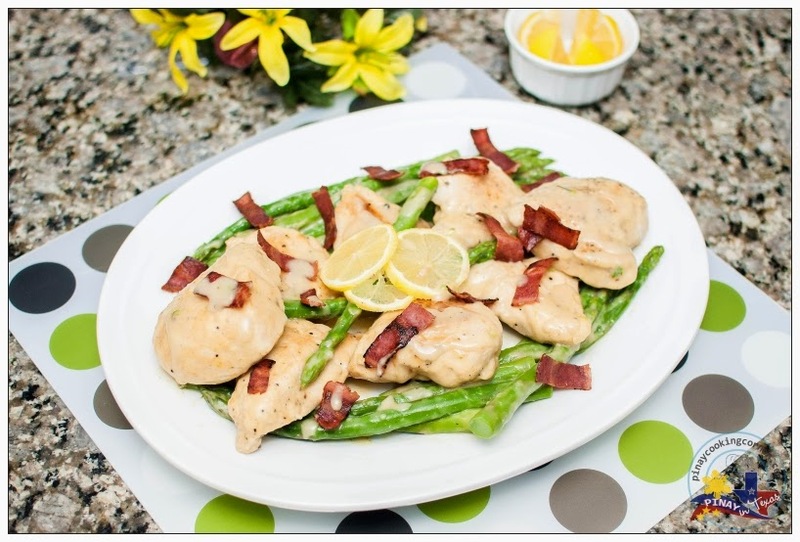 My youngest daughter and I were browsing through some magazines the other day when she found this delicious looking recipe from Family Circle March 2014 issue and requested that I make it for dinner. Well, lucky for her, asparagus is in season and I bought two bunches the day before...and we always have chicken breast in the freezer so I really didn't have a reason not to give in to her request. 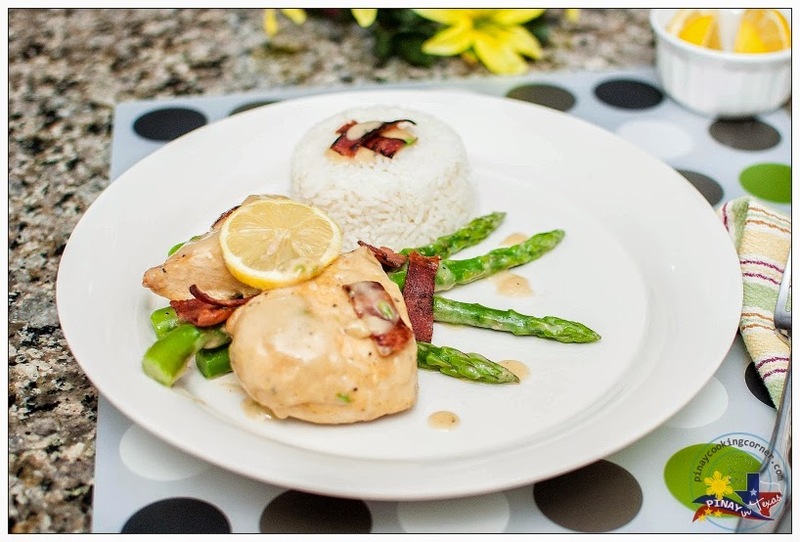 So yes, this Creamy Lemon Chicken with Asparagus and Bacon was our dinner last Monday, and it was a big hit! We honestly didn't expect it to be so flavorful, but it was. I'm truly glad we tried this recipe. It's very simple and super easy to make yet really delicious! The lemon gave it a refreshing taste that we all loved! Definitely a must try! 1. 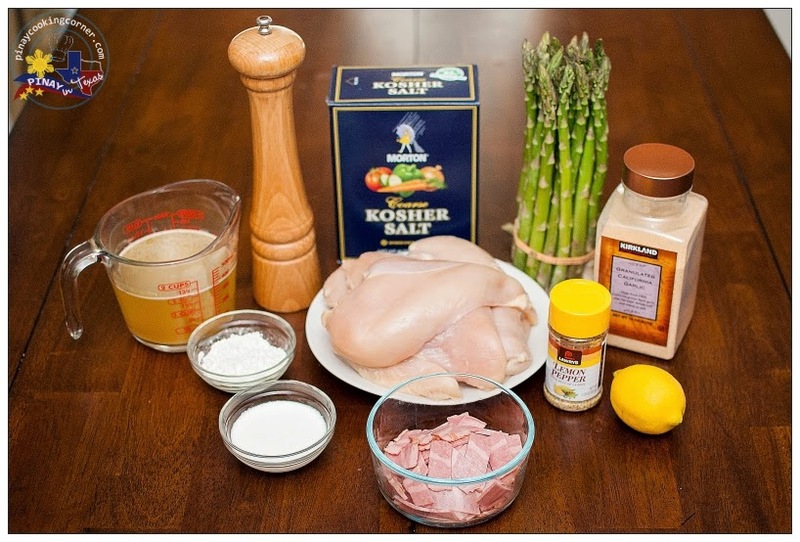 Sprinkle chicken with salt, pepper, garlic powder and lemon pepper. Let sit in the refrigerator until ready to cook. In a large skillet, cook asparagus in a small amount of boiling water for about 3 minutes or until crisp-tender. Remove from heat.Drain and rinse in cold water to stop cooking. 3. Take chicken out of the refrigerator. Cook chicken in the reserved drippings over medium-high heat for about 12 minutes or until brown, turning once. Remove chicken from skillet; keep warm. 4. 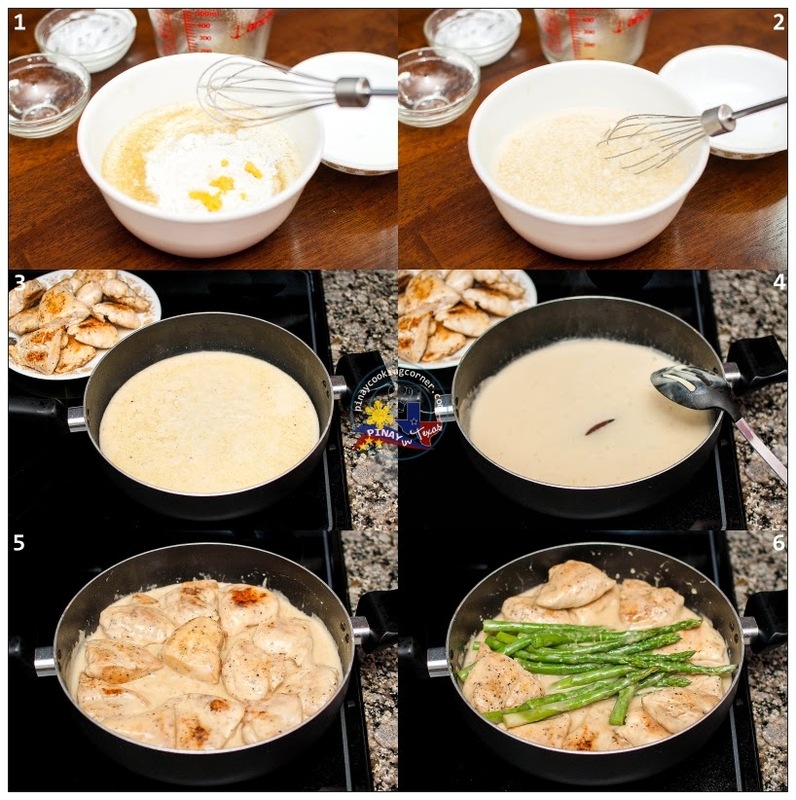 In a medium bowl whisk together broth, cream, flour, and lemon peel. Put in skillet. Cook and stir until thickened and bubbly. 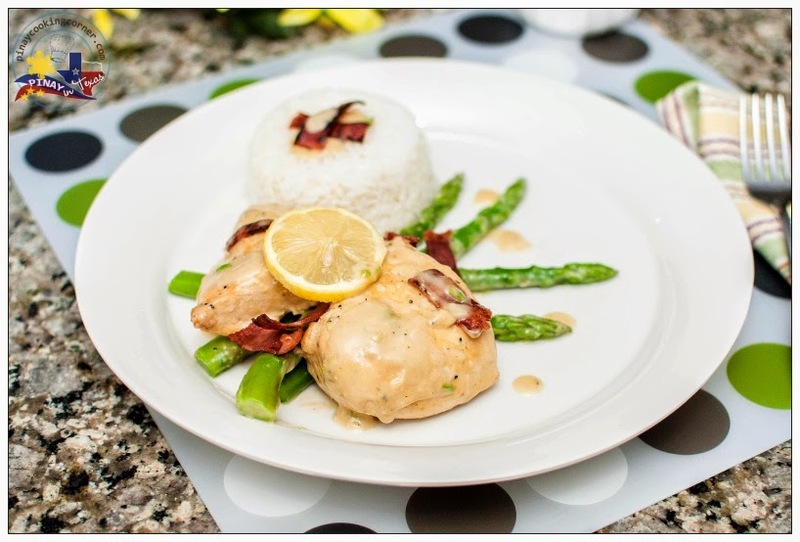 Add asparagus and chicken to skillet. Cook for 3 minutes or until chicken is cooked through. Transfer to a serving dish. Sprinkle with bacon. Serve with lemon wedges. That's one delightful chicken dinner. I'd love to have that right now. aw! it looks delicious. I'll try it this weekend. Bless you Tina.